1.1 The name of the Club shall be The Northern Inuit Society. 2.1 To improve and promote in every way the Northern Inuit Dog. 2.2 To encourage the highest standards in breeding registered Northern Inuit Dogs and to do everything possible to bring the Northern Inuit Dogs natural qualities to perfection. 2.3 To gain Kennel Club Recognition of the breed when ready, but only after a membership vote. To be the official governing body representing the Northern Inuit worldwide. 2.4 To offer help and advice to owners and other interested parties. 2.5 To bring together members and their dogs at shows and social events held at various venues during the course of each year. 2.6 To establish and run a breed rescue to protect and save the Northern Inuit Dog whenever needed. 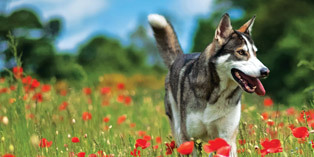 2.7 To research genetic defects of the Northern Inuit Dog, encourage the breed health of The Northern Inuit Dog and keep its members up to date in all matters. 2.8 To promote canine education and healthy ownership of the Northern Inuit and all dogs. 2.9 To periodically publish a Members Newsletter and maintain an up to date Website. 2.10 The Northern Inuit Society shall not be operated or conducted for profit and no part of any profits, residues, or remainders from dues or donations shall be used for the benefit of any individual. 2.11 The members of this Society shall adopt and may from time to time revise such by-laws as may be required to carry out these objectives. 3.1 The Committee will form from its members and shall represent its members and not represent individual gain. 3.2 The Committee shall be elected to position by the NIS members at an AGM or online vote. a. The Committee will advertise all committee positions to its members, with the exception of positions on The Breed Committee which will be dealt with in accordance with paragraph 3.5.
b. Those wishing to stand for any committee position (except office and Breed adviser) must apply in writing to the Chairperson. c. Applications must consist of your personal background, your experience, and details or vision of what you can bring to the vacant position. d. Applications can either be presented to the NIS members at an AGM to vote on by NIS members or published online for the NIS members to read and vote on. e. If more than one member applies for the same vacant position the individual with the majority vote by the NIS members will be given that position. f. If a vote is to take place at an AGM nominations of candidates for election must reach the Secretary at least 14 days before the AGM and published online for NIS members to read. 3.4 The Committee shall consist of a Chairperson, Vice Chairperson, Secretary, Breed Advisor, Registration Officer and Treasurer with at least 10 Committee Members. There is no restriction on the amount of committee members needed. 3.5 The Committee shall be split into groups so they can deal effectively with specific areas. These groups shall be The Committee Office, The Breed Committee, The Events Committee and The Rescue Committee. The Breed Committee will consist of the Breed Advisor and such other members as the Breed Advisor considers has the requisite knowledge of the breed to assist The Breed Committee from time to time so long as The Breed Committee consists of at least four members (including the Breed Advisor). 3.6 The Committee may co-opt other members as necessary to fulfil specific roles within their committee groups. 3.7 Chairperson, Vice Chairperson, Secretary, Breed Advisor, Registration Officer and Treasurer shall be elected from within the committee after serving at least two years as a Committee member and voted on by the NIS members at an AGM or online vote and shall remain in office for a period of four consecutive years, after which they shall retire, but can be eligible for re-election. 3.8 All other Committee members who hold a Committee position shall serve for a two year period, after which they shall retire or apply for re-election. 3.9 All offices shall be honorary. 3.10 No NIS member is eligible for election to the Committee until they have completed twelve months paid membership of the NIS. 3.11 Only current members of the Committee may stand for election for office. Those Committee members wishing to take up an office position shall present themselves to the NIS members at an AGM. If more than one Committee member applies for the same office position the individual with the majority vote by the NIS members will be given that position. If NIS members cannot attend the AGM they can give a written proxy vote naming their candidate via the Chairperson. 3.12 A Committee member or officer may resign from office by tendering a letter to the Chairperson, that letter would then be entered on record at the next Committee meeting or online discussion. If required the Committee will advertise this position to the NIS members to replace that person as per 3.3 and 3.12. 3.13 The Committee shall be empowered to deal with any question not provided for by the rules. 3.14 The Committee will physically meet as a whole at least once a year and before the AGM. The Committee and group committees shall also converse online to discuss and vote on decisions. All Committee members should converse and vote on decisions (a yes, no or abstain vote) unless the Committee member is reasonably unavailable. 3.15 Each member present at a physical committee meeting, or on an online vote, other than the Chairperson, shall be entitled to one vote on each motion, except in the case of a tied vote, in this case the Chairperson shall have the casting vote. Any online voting must have at least 60% of the Committee participation. Committee groups can make and vote on minor group decisions, however major decisions that will affect the NIS as a whole must have a full Committee vote. 3.16 The Committee can invite any person or persons whether members of the society or not, to attend any meeting to assist the Committee, but such person shall not be entitled to vote. This does not include online discussions and votes however written assistance is accepted. 3.17 Physical committee meetings can be called when required. 3.18 The Chairperson or Vice Chairperson have the right to call an emergency physical Committee meeting or at the request of at least three Committee members. 3.19 Five members of the Committee shall be deemed to form a quorum at any physical meeting. 3.20 Any information collected on behalf of the NIS by a Committee officer or member is the property of the NIS and should be given to the Committee at the end of service or upon resignation. 3.21 The Committee shall also be empowered to appoint Sub-Committees, Judges and the allotment of guarantees and special prizes. a. The Chairperson shall be responsible for the running of physical Committee meetings ensuring that the constitution is upheld at all times and mediate between any disagreements which may occur. b. The Chairperson shall undertake to ensure that committee members correctly perform their elected duties on behalf of the society. c. The Chairperson shall at any point ask for NIS records to be made available for inspection and may co-opt help to ensure an independent review. d. The Secretary shall call all physical Committee meetings and shall record in the minute book the date and place of every physical meeting and the proceedings, this shall include the recording of all online voting decisions. e. The Secretary shall also conduct the correspondence of the Society. f. The show secretary shall keep the trophy book showing details of the trophy winners. NI shields of the year shall be signed for after it is presented at the AGM. All shields with the exception of Specials offered for annual competition shall remain the property of the Club. g. The Treasurer shall keep the accounts showing in detail the financial affairs of the Club and these shall be made up to the 30th September in each year for the year preceding, and duly audited, shall be presented at the AGM. All monies collected by the Treasurer shall be deposited in a bank account in the name of the Society. h. The operation of the account shall require the signature(s) of the Treasurer and one of two other appointed committee members. a. Free membership on purchase of a Registered Northern Inuit puppy. New owners will receive 12 months free membership to the Society to run from the date of admission as a member. b. Free membership will have all the privileges of a regular member. c. Regular membership: Entitled to one vote at the AGM or online vote. d. Honorary membership: An honorary member shall not pay dues and shall not have a vote. e. Honorary Life membership: An Honorary life member shall not pay dues for the lifetime of the member and shall have a vote. f. Temporary membership: anyone fostering a dog through the Society’s Rescue will receive temporary membership to the Society for the duration of the foster period. Temporary members shall not pay dues and shall not have a vote at the AGM or online vote. g. Free membership on adopting a dog from the Society Rescue: anyone who adopts a dog from the Society’s Rescue will receive 12 months free membership to the Society to run from the date of adoption and will have all the privileges of a regular member. 4.2 Membership Fees will be decided by the members at the AGM. 4.3 All membership fees shall be paid annually on or before each anniversary of the members membership. b. By lapsing, a membership will be considered as lapsed and automatically terminated if such member fees remain unpaid thirty days after the due date. c. By expulsion, a membership may be expelled under section 5 of the constitution. a. The committee must keep a register of members. · The full name and residential address. · The date of admission as a member. c. This information cannot be copied or used by any individual or organization without the consent of the committee and the individual members. 4.6 Minutes of the AGM will be approved by the Committee and then published to the members within 30 days of the AGM in electronic form on a platform accessible by all members and deemed appropriate by the Committee. Members may ask to inspect the Society’s records at the AGM by giving the Secretary not less than 2 weeks’ notice prior to the AGM and specifying which records they wish to inspect. Copies may not be taken. 5.1 Should a member’s conduct or behavior, including online behavior, in the opinion of the committee, be seen as to infringe the NIS rules or their actions are seen to be injurious or likely to be injurious to the character or interests of the NIS, such a member could face suspension or expulsion from the NIS. 5.2 The member accused will be invited to attend a committee meeting or submit written evidence in order to give him/her an opportunity to give an explanation/defense of their actions. That person will be allowed to bring an independent person to the meeting. At that meeting sufficient time will be given to allow the accused member the opportunity to confer with their independent person. 5.3 21 days’ notice will be given to the accused member giving details of the charges, along with the address, date and time of meeting. 5.4 Using the majority-voting rule, should a member be found in breach of NIS rules or defaming our good name the committee will exercise their right to suspend,fine and/or expel the said member. 5.5 A suspended member shall lose the right to attend any NIS meeting, vote at any election or hold office during the suspended period but will remain liable for payment of any outstanding subscription. 5.6 Any member expelled from the Society will forfeit re-imbursement of subscriptions paid and claims for expenses, deemed by the Committee as un-warranted. This member will return all property belonging to the NIS including cups, documents, records etc. 5.7 All Committee members come under the same suspension rules as any other NIS member. 5.8 Suspension of a Committee member from the Committee only, can also occur without the need for a full NIS suspension. 5.9 Using the majority-voting rule, should a Committee member be found in breach of Committee rules or fail in their Committee responsibilities the remainder of the Committee can exercise the right to suspend. 5.10 Any Committee member suspended from the Committee will be invited to attend a committee meeting or submit written evidence in order to give him/her an opportunity to give an explanation/defense of their actions. 6.1 The financial year of the society shall be from the 1st of October to 30 September. 6.2 The AGM of the members of the Northern Inuit Society shall where possible be held within four months of the end of the financial year. 6.3 A minimum of seven members shall form a quorum at an AGM. 6.4 Preliminary notice of the AGM will be notified by post on the internet, not less than 28 days prior to the meeting.. Members may be asked for matters for inclusion on the agenda so long as the matter is notified to the Secretary no less than 14 days before the date on which the AGM is to be held. The agenda will be posted on the internet 7 days prior to the AGM and circulated to members at the AGM. 6.5 No business shall be conducted or resolutions voted on at the AGM except those matters properly notified on the agenda, with the exception of routine matters or those which in the opinion of the Chairperson of the meeting are urgent. 6.6 A candidate nominated for a position on the Committee must be a member of the Society as per 3.3. 6.7 Each member present at the AGM, except the Chairperson, shall be entitled to one vote. All written proxy votes must be handed into the chairperson who will read out each vote on each motion. In the case of an equality of votes, the Chairperson presiding the meeting shall have the casting vote. Written proxy votes shall be allowed and must be addressed to the Chairperson, voting shall be by secret ballot or a show of hands as decided by the majority at the meeting. 6.8 All records kept by each committee member will be available for inspection by any member at the meeting. 7.1 A banking account shall be held in the name of the Society at a bank or building society approved by the Committee into which all revenue of the Society shall be paid and from which withdrawal shall only be made on the signature(s) of the Treasurer and either of two named signatures. 7.2 The Society accounts will be audited and certified annually by an outside qualified accountant or two unqualified individuals with accountancy experience and presented to the members at the AGM. 8.1 The rules of the Society may not be altered except at an AGM, the Agenda for which contains specific proposals to amend the rules. Any approved alterations or amendments shall be adopted immediately and be included in the Society Constitution with effect from the AGM. 9.1 The NIS recognises it’s published Breeders Code of Ethics as a live document which must be available to alteration upon discussion within and voting by the Committee. 10.1 The NIS recognises its published breed standard as a live document which is open to alteration upon discussion within and voting by the Committee. 11.1 The Society may be dissolved at any time by written consent of not less than 2/3 (two thirds) of the members. In the event of dissolution of the Society none of the property of the Society, nor proceeds thereof, nor any assets of the Society shall be distributed to any members of the Society, but after payments of the debts of the Society, the Committee will gift the remaining property and assets to a charitable organisation for the benefit of dogs. A final statement of accounts with a record of the disposal of the property of the Society shall be forwarded to all members. Donors of Cups and Trophies should note that these are only accepted by the NIS as outright gifts and may be disposed of as part of the Society’s assets.